After winning the toss and electing to bat England looked to have thrown the initiative back to the Australians after losing four early wickets and finding themselves on 49 for four. In the end Georgia Elwiss and Natalie Sciver helped raise the score to 177 which never looked to be enough. England needed to win to level the four-match 50 over series, the pressure must have been immense as they went out to field. 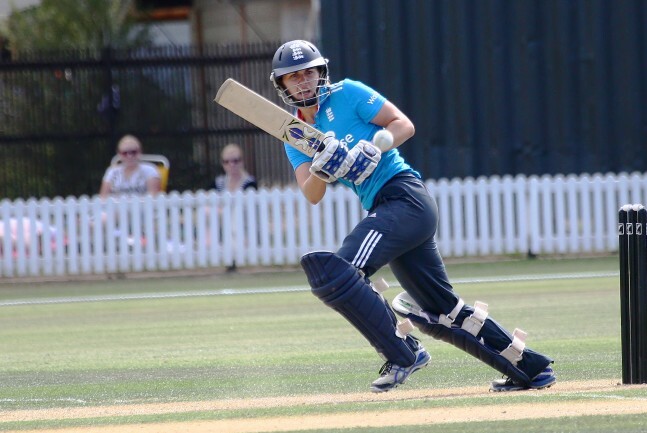 However, it didn’t show and four wickets apiece for Jodie Dibble and Alex Hartley helped England Women’s Academy seal a dramatic three-run win over Australia Women Shooting Stars at the International Cricket Council Academy in Dubai. Dibble finished with figures of 4-35 and Alex Hartley 4-41. 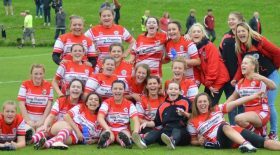 Morale must be high heading into the Twenty20 matches against the Shooting Stars on Saturday and Sunday. Pictured above Natalie Sciver batting for England against New Zealand.